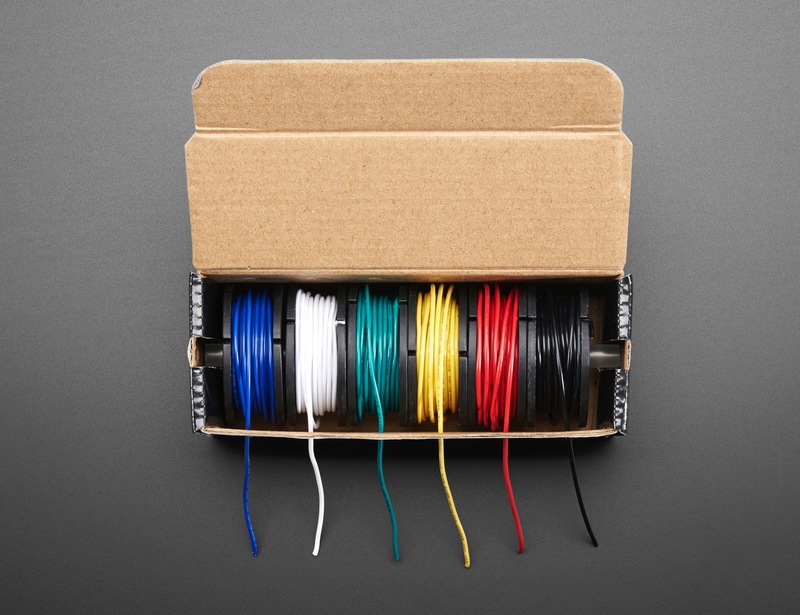 NEW PRODUCTS – Hook-up Wire Spool Sets – 22AWG – Solid and Stranded Core « Adafruit Industries – Makers, hackers, artists, designers and engineers! 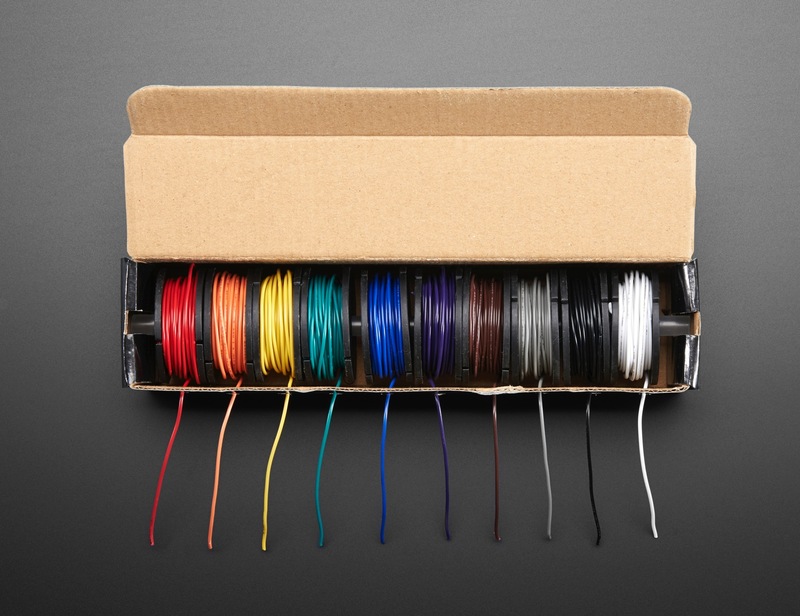 We at Adafruit always like to have a few spools of wire around, which is why these neatly boxed sets are such a treat! The box has a plastic dowel rod to hold the spools in place and let them spin, and there are little punch-outs you can pass the wire through so it’ll stay nicely organized. All of these boxes contain 25ft spools of 22 AWG wire, and you choose between sets of six or ten, solid-core or stranded-core. The wire is easy to solder to, and when bent it keeps its shape pretty well. 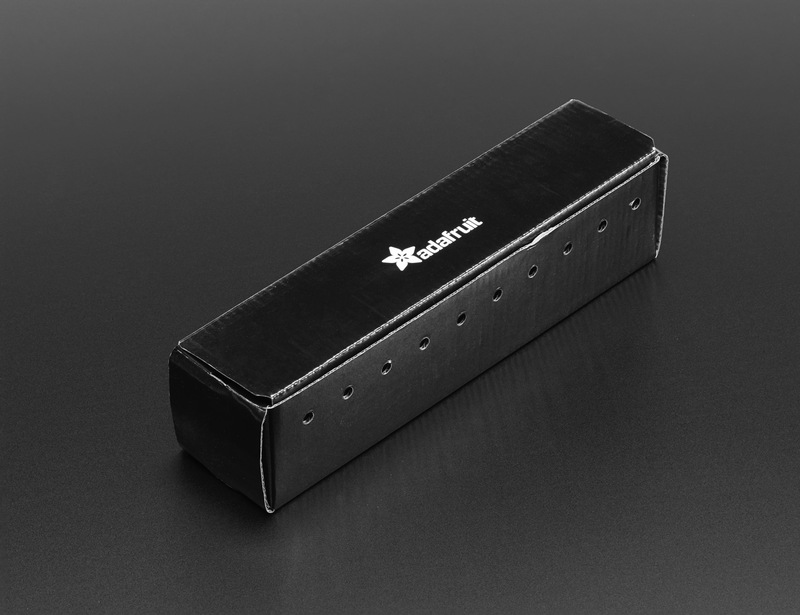 Solid-core works best with breadboards and perfboards but also fits nicely in terminal blocks. Stranded-core wire is best used for wiring jigs where there’s bending or movement expected, and it too works well with terminal blocks. Stranded-core, however, is not great for use with breadboards. Pick your preference and wire away!